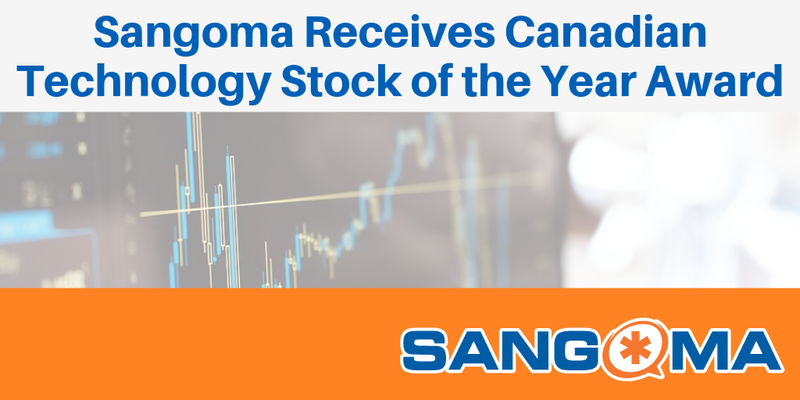 Markham, Ontario, Jan. 31, 2019 – Sangoma Technology Corporation, a trusted Unified Communications (UC) leader providing globally scalable telephony solutions for SMBs, Enterprises, OEMs, and Service Providers, was awarded “Canadian Technology Stock of the Year” at Cantech Investment Conference. This is an award that is voted upon by dozens of unbiased Canadian Technology-Stock Research Analysts at the top financial institutions in the country who deeply understand the industry, the technologies, the customers, the companies and their corporate performance. Congratulations, Sangoma! We are very proud to be part of this innovative team and are looking forward to achieving more together in 2019!